Let’s see how to manufacture and produce dried fish roe so it will turn into an amazing Bottarga sausage. Often one wonders how to make dried fish roe. But we are not talking about a regular kind of dried fish roe, but a very specific kind – Bottarga. What are Bottarga? This is a very special type of dried fish roe that does not look at all like fish roe! (Although it definitely has the appropriate taste). We are talking about a special type of dried fish roe that resembles a thin slice of sausage. Indeed, in the manufacturing and production of this dried fish roe, there is the process of salting, drying and restructuring, so they will get their unique shape, as well as their strong salty taste. Let’s see exactly how the dried fish roe is produced, and how at the end you get a tasty Bottarga sausage. 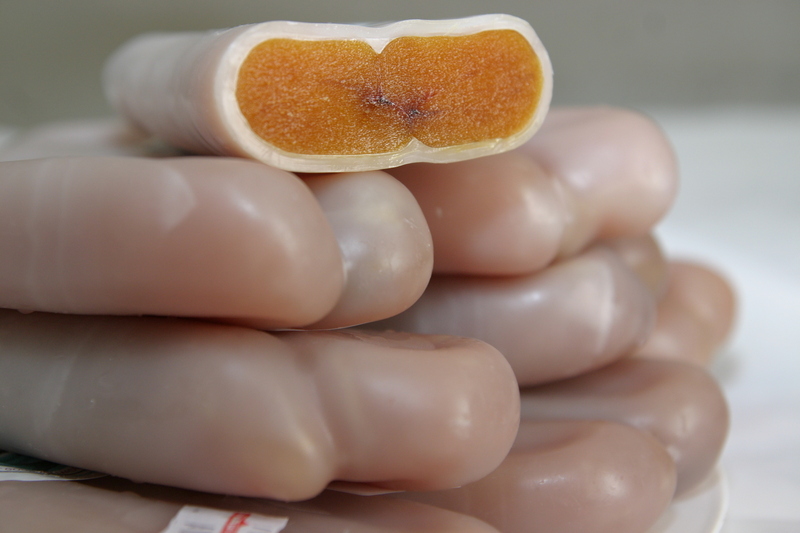 In order to manufacture Bottarga dried fish roe, it is necessary to catch them first of course. Usually one makes use of roe of common fish in the Mediterranean Sea such as Tuna and Mullet. Therefore, it is very common to see dried fish roe being served in countries such as Greece and Italy, as well as in North African countries. After extracting the roe from the fish, starts the procedure of drying and salting. This procedure lasts a few days. During which the dried fish roe are placed under fire panels that press on them. This process takes place outdoors, under the sun, in order for the drying to be as natural as possible (that is why it takes time to prepare dried fish roe). The drying is done with a fair amount of sea salt, which ultimately provides the salty taste to the dried fish roe. After the roe is salted properly, there is still a need to continue the drying process. At this stage, the dried fish roe are being exposed a bit more to the sun. And at the end, the Bottarga gets the red color for which it is known for. The last thing left to do for the production of dried fish roe is to give them the familiar shape of Bottarga sausage. How do you create this shape? You take the dried fish roe and cover them with special beeswax. This beeswax gives them shinier appearance, which looks as if it is some kind of dried fish roe sausage, or even a regular meat dried sausage. Now, you can do as you wish with the fish roe sausage that was prepared. There are some that love to serve special Bottarga slices. There are some that love to prepare a tasty spread out of them, and there are some that grate them into small pieces, in order to make it possible to prepare pasta with dried fish roe. The possibilities are very many, and nowadays, people all around the world discover the special taste of Bottarga.